Are YOU an aspiring author, ready to take YOUR manuscript to the next level??? Have you written a children’s book that your friends and family love, yet you keep receiving rejection letters from publishers? Are you a children’s book author who’s just finished your first manuscript, and you need to know if it’s ready for submissions? 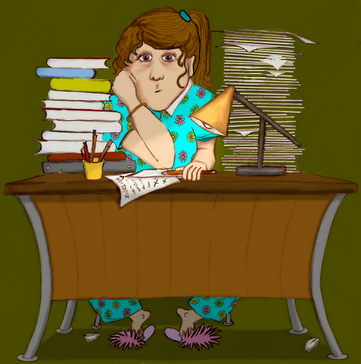 Have you done several re-writes, but just can’t figure out why your manuscript’s not receiving rave reviews? Are you finally ready for professional help that will increase YOUR manuscript’s potential for success? Lisa will provide you with a detailed, line-by-line critique or content edit that includes writing tips and suggestions sure to improve YOUR odds for publishing success! As an added bonus, You will receive your manuscript correctly formatted for professional submissions to literary agents and editors! please contact Lisa at wscribbles@att.net and include your manuscript’s word count. A payment invoice will be promptly forwarded to you. Pat Brooks, author of “Miss Marble’s Backyard Critters“. “Incredible! Your critique was more than I hoped for. I loved the insights on how to have my characters express themselves more, and how the power of illustrations can take down the word count. By far you have helped me greatly. I appreciate the line by line critique of the story… how you worked the story over twice, adding notes all along the way. The best part was, you help me grow as a writer. I will be contacting you again in the future and recommending you to others. Thank you so much! 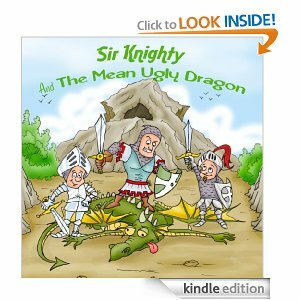 David Zyskowski, author of “Sir Knighty and The Mean, Ugly Dragon“, “Sir Knighty and the Bright Idea“, and “Sir Knighty and the Mightiest Knight“. “Thank you so much for all your expertise and detail with the editing! I can’t tell you how much I appreciate it and it’s obvious you are doing this out of a deep love for your craft rather than any other reasons. I agree with you on ALL issues you brought up especially relating to the voice needing to be more like an eight – year – old. The way it reads after your suggestions is perfect! You have some wonderful suggestions that add great value to the book and it represents what I’m trying to say. I also like your suggestion regarding the title. Again, I am very grateful for the work you have done, and can’t tell you how excited I was to work with you to make this book something that I can be very proud of. 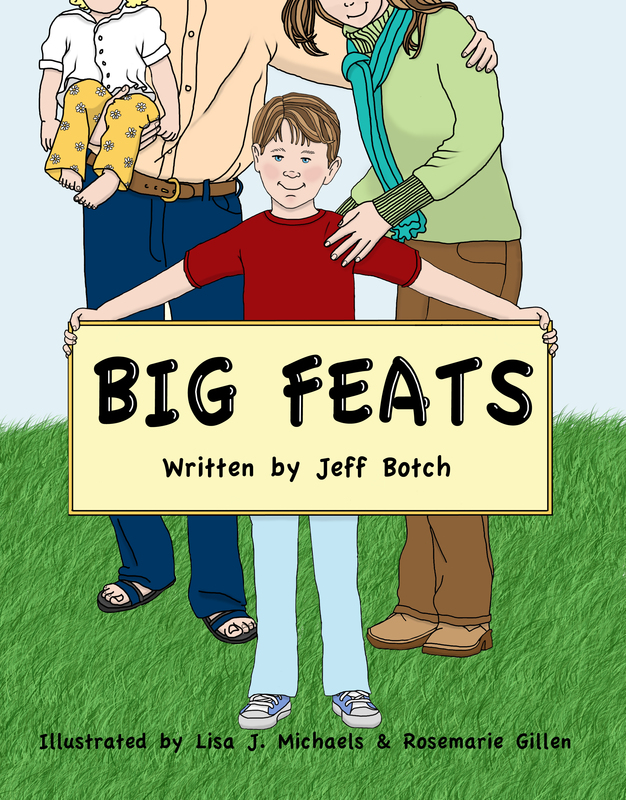 ~Jeff Botch, author of “Big Feats“. After about a month of constant editing I still wasn’t happy with my story. I knew there was something missing, but I couldn’t quite work out what it was. I sent my manuscript off to Lisa, hoping she would be able to add that final bit of magic. A week later I got my answer. The changes she made improved my story beyond my wildest expectations. Lisa provided helpful notes explaining why she’d suggested the changes proposed, and returned the manuscript in a format ready to be sent to my illustrator, and potential publishers. This was an invaluable service. With Lisa I got a lot more than I bargained for. Quality edits, quality advice and a quality manuscript! I now have someone who I know I can trust to help take my work to the next level. I am a person of many words and plenty of stories, but I do not have the ability to write very well. I had an idea to write a story about two little French Chefs who hang out in my kitchen, (I collect French Chef statues). It seemed to be a perfect idea for a keepsake book for my granddaughter. I started writing, but before long, I had a mess of words and a heap of paper. The story was fun to write but tough to read. There was no continuity. 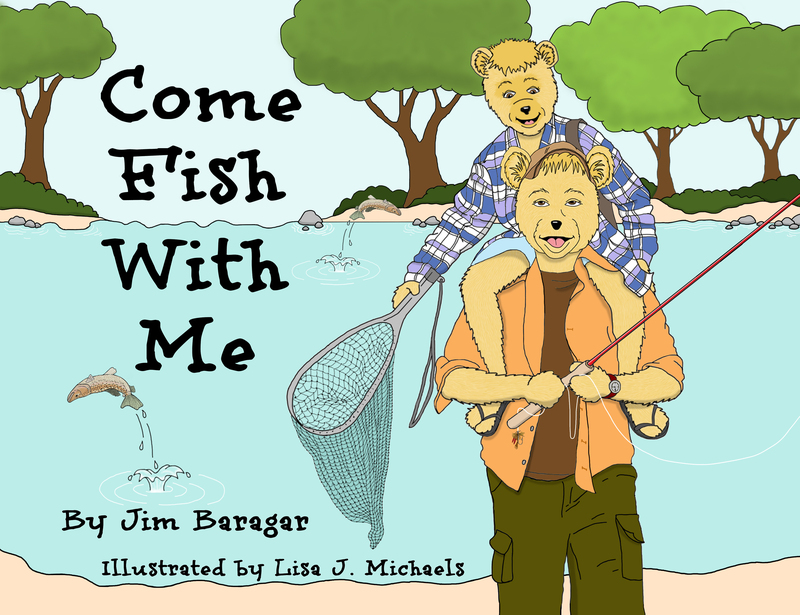 My neighbor, who’d just had a book published, mentioned to me that Lisa Michaels was a very fine writer/critiquer, with the ability to give a story voice, texture, and the professional quality needed to bring the story to fruition. Willingly, I sent her my story. She worked on it faithfully for three weeks, constantly updating me every step of the way. I sent Lisa a story, and she sent me back a MANUSCRIPT, complete with footnotes indicating where to place pictures and character content! Am I excited about my new resource? YOU BET I AM!!! I think this is the beginning of a beautiful friendship! Lisa’s fees and waiting time are reasonable, her comments are thoughtful and reflective, her style is courteous and patient. As a teacher, she’s a natural, often giving more feedback than expected. Time and again she brings the writer back to the time-honored basic structure of successful picture books. I may not agree with everything she says, but I’ve learned to give everything she says careful consideration.